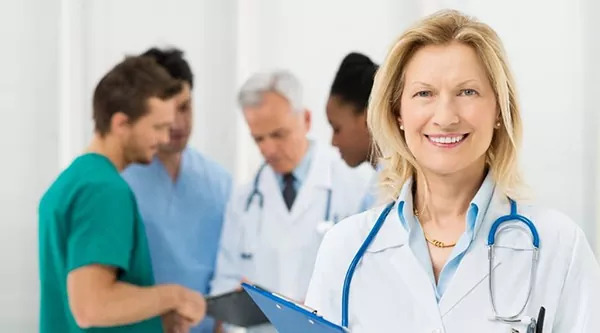 for Physicians is now available. For thousands of years, human beings have practiced refined techniques of mental focusing designed to change the habitual conditioning of the mind. Central to many spiritual, philosophical and religious traditions, the practice of meditation, is considered a powerful means for enhancing health, happiness and spiritual fulfillment. In recent decades, modern science has dramatically confirmed what meditators have long known through their personal experience—that meditation, practiced under the guidance of a competent teacher (representing a time-tested lineage) offers deep and lasting benefits for physical, mental, emotional and spiritual well-being. Now, through the gift of modern technology, Leonard Perlmutter’s new online meditation course, Comprehensive Meditation and Easy-Gentle Yoga, brings to you his comprehensive training in the world’s oldest and most effective holistic mind/body medicine. 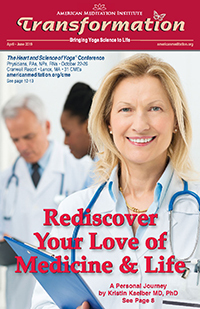 In 2009, in support of the American Meditation Institute’s continuing medical education accreditation for physicians (through the Albany Medical College and the American Medical Association), AMI conducted a retrospective case study of participants who completed the same curriculum offered in Comprehensive Meditation and Easy-Gentle Yoga. Now you too can experience these remarkable, life-affirming benefits. If you’re ready to undertake life’s greatest adventure, this detailed and easy-to-follow video instruction will teach you how to become healthy, creative and secure in every circumstance. Segments you can explore at your own pace will provide you a clear understanding of how to establish a meditation and easy-gentle yoga practice, and how to keep it going. Emphasizing clarity and practicality, this new online meditation course will empower you to embrace life’s ever-changing circumstances with a brilliance of confidence. The following is a brief summary of the 40 individual segments contained in AMI’s new online meditation course, Comprehensive Meditation and Easy-Gentle Yoga. Who Am I? Part A (6:09) When we see Yoga as a metaphoric bridge, our meditation practice becomes a powerful tool to connect our inner wisdom with our outer actions. Using the “Bridge of Yoga” assures that our thoughts, words and deeds will bring about positive, creative, rewarding and life-affirming consequences. Who Am I? Part B (4:54) The practice of Neti-Neti (Not this. Not this.) 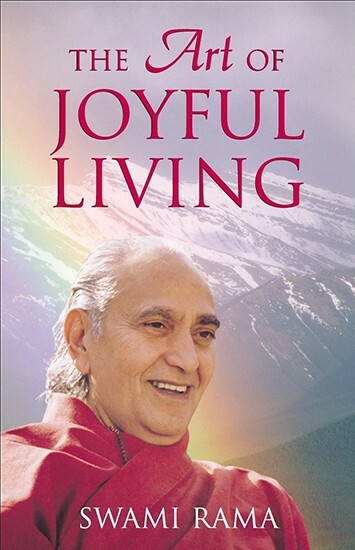 teaches us how to detach from the relative and ever-changing concepts stored in our unconscious habits, while it provides new opportunities to serve and to experience the absolute, unchanging Truth of who we truly are. Through this process of self-inquiry we can conclude with new certainty that, I have a body, but I am not the body. Neti-Neti. I have thoughts, but I am not the thoughts. Neti-Neti. Who Am I? Part C (7:07) In deconstructing the “soul” through the study and practice of Yoga Science we learn that the first characteristic of the real “I” is called Sat. The real “I” is eternal; not dependent on anything else for its existence. The real “I” was never born and will never die. The real “I” is not subject to death, decay or decomposition. Who Am I? Part D (5:57) The second characteristic of our essential nature is called Chit (consciousness and wisdom). The real “I” is pure consciousness (awareness) that has access to an intuitive library of wisdom known as the superconscious mind. When we can access intuitive, superconscious wisdom from within and make it the basis of our thoughts, words and actions, we are always led for our highest and greatest good. The third characteristic of our essential nature is called Ananda (bliss and fullness). The very nature of consciousness is fullness, bliss and happiness––even without an object. Whenever the mind can be focused in a one-pointed manner, we experience the bliss and fullness of Ananda. And human beings refer to this experience as love. Who Am I? Part E (7:23) You are a citizen of two worlds (spirit and human). The Truth of subtle, transcendent spirit expresses itself in the manifest world through the human being’s three deepest, driving desires for Life, Liberty and the Pursuit of Happiness. Who Am I? Part F (17:23) • Discrimination: Our thoughts are our greatest resource for experiencing happiness, health and security, but not every thought will lead us in a positive and rewarding direction. Only the discriminating faculty known as the buddhi (conscience or Holy Spirit) can reliably identify which thoughts to serve and which thoughts not to serve so that we may fulfill the purpose of our lives. • Mantra: The mantra is a compact prayer; a word or series of words usually containing the name of the Divine Reality (a.k.a. God). The mantra acts as our leader to help us steward the creative energy of our thoughts, desires, emotions and concepts. Every time we silently listen to the mantra it changes old, unconscious habits by providing us love, fearlessness and strength. Who Am I? Part G (8:44) Choosing a MantraSeveral mantras from the world’s great traditions will be repeated. As you listen, imagine that you are seated inside the cave of the heart, the mid-point between the two breasts. Choose a mantra that speaks to your heart and that feels uplifting and inspiring. With each repetition, the mantra will generate love, fearlessness and strength. Devote time to listening to the mantra and it will become your best friend and strongest support. The mantra is to be used as the exclusive object of your attention in seated, silent meditation and during the practice of japa (prayer without ceasing). Rediscovering Our Roots (12:09) At the core of every spiritual and religious tradition––beyond the many layers of personality, history, doctrine, economics and culture––lies an eternal, unifying Truth. For instance, examine the essence of the ancient Judeo-Christian and Islamic traditions and you will find Yoga, the unifying kernel of Truth that unites all belief systems. Introduction to Meditation (6:55) It’s important to establish a time, place and proper posture for your meditation practice, and to understand how meditation provides a sort of “barometric reading” of how skillful your actions have been during the previous 24 hours. Survey of the Body (13:15) This relaxation practice is part of the systematic procedure for meditation. It teaches you how to methodically observe the spine, major organs, joints and glands in a therapeutic manner. When we give our unconditional love (attention) to the body a resulting relaxation response allows prana (energy) to be received for healing and nurturing. Making Choices (6:30) If you accept bold promises from the culture or from your own senses, habits or ego without exercising your discrimination, you will not always receive what was promised. Such unexamined acceptance guarantees that relationships will suffer and that some consequences will be painful. Meditation in Action (2:21) When we sit for silent meditation we gain the skills of detachment, discrimination and will power. The ability to employ these skills, known as “meditation in action,” enables us to increasingly base our thoughts, words and deeds on our own inner wisdom. In the process, relationships become beneficial and rewarding. Diaphragmatic Breathing (8:43) A full and smooth diaphragmatic breath is composed of three distinct, yet seamlessly integrated phases of inhalation: abdominal, thoracic and clavicular. When all three phases of diaphragmatic breathing are integrated into one continuous motion, the breath becomes the flywheel for a healthy mind and body. Breath Meditation (3:17) This “One Minute Breath Meditation” may be used as a preliminary centering exercise before seated meditation, as an occasional substitute for your seated meditation when time is short, or whenever you feel the need to focus and calm yourself during the day. Alternate Nostril Breathing – Introduction (8:04) A brief overview of the relationship between the physical body and the subtler forces of the mind and energy lays the foundation for understanding the chakra system and the balancing of the male and female principles present in every human being. Alternate Nostril Breathing Practice (11:07) A complete description of Alternate Nostril Breathing (Nadi Shodhana). The practice is both centering and extremely energizing––a more effective pick-me-up than two cups of black coffee. It cultivates one-pointed attention, enhances memory, calms your nerves and oxygenates the blood. The Three Selves (13:42) Yoga Science defines the human being as three separate selves: the mortal self, the semi-immortal self and the immortal Self. 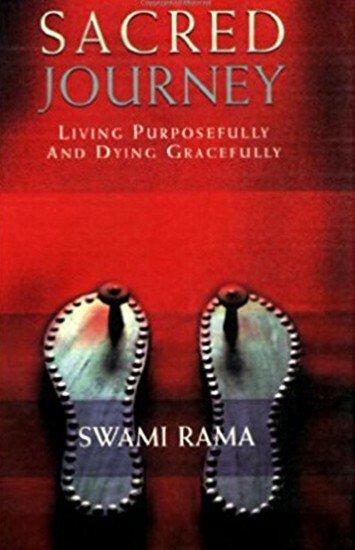 During this lifetime each human being has the necessary instrumentation (body, breath, senses, and a mind equipped with buddhi) to resolve the debilitating habit patterns (samskaras) of fear, anger and self-willed desire stored in the unconscious mind. By resolving these attachments the animal nature evolves, through the human, to unite with the Divine. Functions of the Mind (13:29) Patanjali, the author of the Yoga Sutras, taught that all Yoga (happiness, health and security) begins with an understanding of and coordination of the functions of the mind. A disciplined and discriminating mind, therefore, can be our best friend and strongest ally in that endeavor, and conversely, a mind lacking in discipline and discrimination can be our most formidable adversary. Ayurveda (13:08) Ayurveda is a holistic system of medicine widely practiced in India for more than five thousand years. The Sanskrit word Ayurveda means “the science of life.” Ayur is life, and veda is knowledge or science. It is a complex science, yet its basic principles are easily employed in making everyday decisions about our health and well-being. The study of Ayurveda offers us a profound understanding of our bodies, personalities and relationships. Ayurveda Body Types (9:12) Every form in the universe, including the human body, is comprised of the five basic elements: space, air, fire, water and earth. To facilitate health and healing it is essential to understand the unique balance of these five elements that form your own body. There are three basic Ayurvedic body constitutions, or doshas, known as vata, pitta and kapha. Easy Gentle Yoga Part I Introduction (1:56)Giving the body loving, your one-pointed attention as you move through these Easy-Gentle Yoga exercises will increase physical and mental flexibility, energy and wellbeing. Easy-Gentle Yoga I A (11:08) Exercises 1 through 12: Always remember that ahimsa (non-injury, non-harming) is the highest principle of Yoga. By practicing ahimsa during Easy-Gentle Yoga, you will learn to honor the limitations of the body. Through continuous practice, those limitations will be diminished. Easy-Gentle Yoga Part II Introduction (4:49)Because this sequence of exercises requires that we firmly support the upper body with the lower body in positions that require twisting and bending, we must always remember ahimsa (non-injury, non-harming). It is important to honor the body’s current threshold of pain––not disrespect it––and then slowly, gently retreat from that area of discomfort. The more consistently we practice, the more flexible the body will become. Easy-Gentle Yoga Conclusion (2:12) Final recommendations on how to incorporate these exercises into your daily life. Contemplation, Repentance and Prayer (11:10)These three practices will provide you a “pre-battle intelligence briefing” that prepares you to act skillfully and rewardingly in all relationships. God Centered Prayer (4:59) As spiritual food for thought, we offer you this sample of a God-centered prayer. It can be helpful for the spiritually minded, agnostics and even atheists. Closing Comments (6:12) A few final thoughts to inspire your meditation and Easy-Gentle Yoga practice. To enhance your understanding and practice, Leonard (Ram Lev) is available to provide you personal counseling by telephone. Drawing upon his 37 years of experience, Leonard will answer your questions and provide clarification on any aspect of your meditation and yoga practice. Each personal counseling session will teach you how to strengthen your physical, mental, emotional and spiritual well being. Appointments are available in either a 30 or 60 minute session. 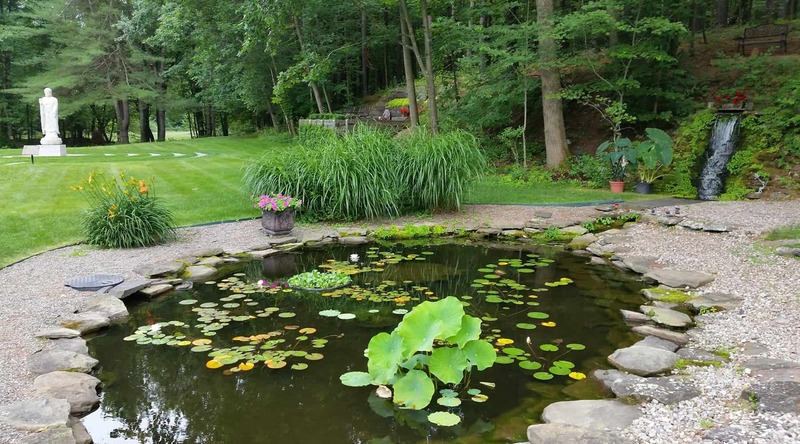 Call (518) 674-8714 to schedule an appointment with Leonard. $90. per half-hour / $150. per hour. If you have already purchased the course, please login to your account and use the buttons below to access the course page. 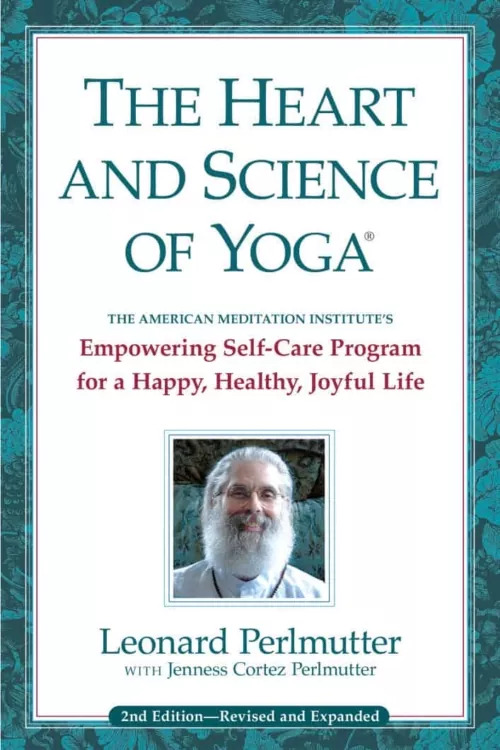 With the purchase of AMI’s new online meditation course you will receive a FREE eBook of Leonard’s award-winning The Heart and Science of Yoga®. This encyclopedic text, endorsed by medical pioneers Dr. Oz, Dean Ornish MD, Bernie Siegel MD and Larry Dossey MD, will greatly enhance your experience of the online course. The eBook is compatible with all major browsers, tablets and mobile devices. These videos contain excerpts from Leonard’s online meditation course.